Have y'all seen this tank by J.R. Crider? How true is this when it comes to Southern Gents! Bow ties are much better than regular ties. 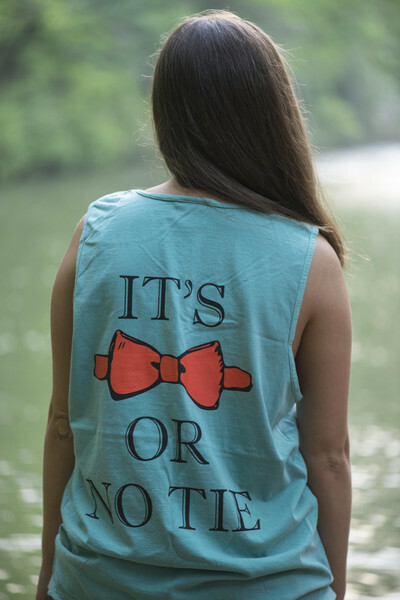 Well ladies, the bow tie is no longer just for men, they are for us too! Devon Alana has the most adorable bow ties for belles! I recently got my first one and I was in love!! So naturally I had to get two more. If the bow fits, wear it. Right? 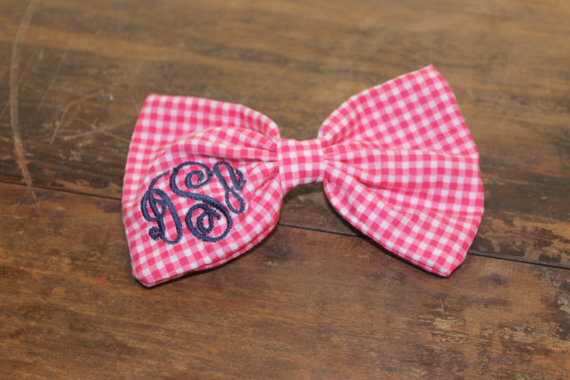 The first one that I got was the pink gingham with a navy monogram. You can never go wrong with navy, pink and a monogram! I love it and I knew I had to get more! 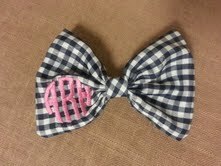 I have a mild obsession with anything gingham, especially a bow, so my most recent order was for the nay gingham bow and a gameday bow. 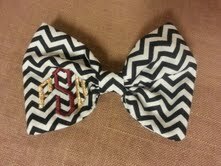 Yes, I said gameday bow! I am so happy that college football is finally upon us! My husband is a huge Florida State fan and we will be attending some games this year so I felt it only necessary to have an adorable game day bow! 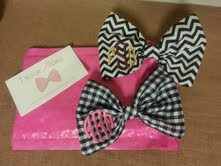 How cute is the pink packaging that the bows come in, and not to mention her adorable business card!! These are my 2 new bows, the top is the navy gingham with a pink circle monogram and the bottom is black and white chevron with a gold and garnet FSU monogram. Have y'all ever ordered from DevonAlana on Etsy? Check her out!